Goniastrea coral is like Favia brain coral and this coral provides a nice “POP” of color under blue lighting. 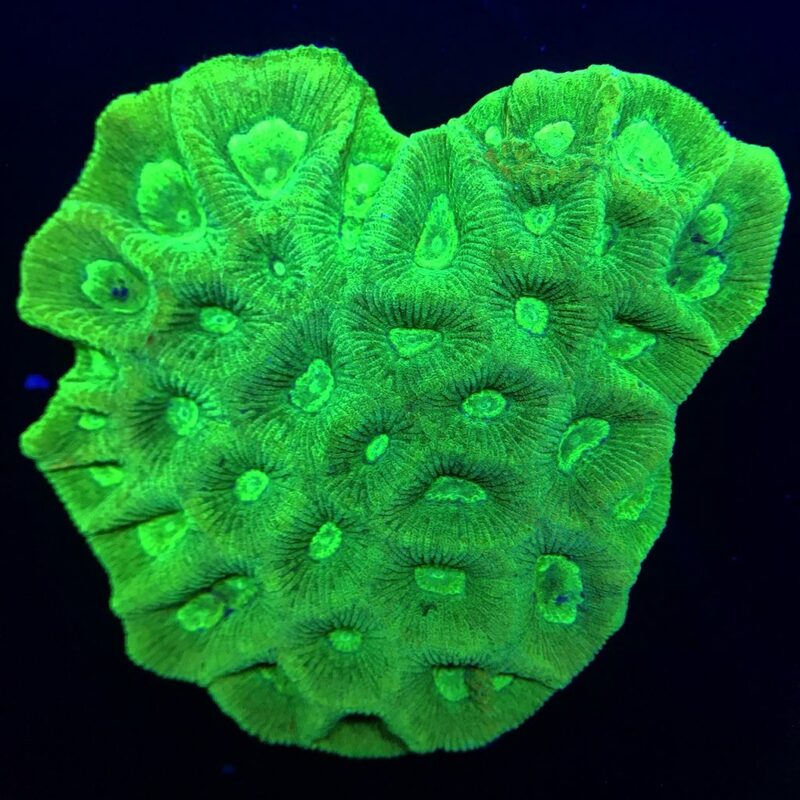 This is a relatively easy coral to care for and is a great choice for beginning and experienced hobbyists wanting to add colorful LPS coral to their reef tanks. Place Goniastrea coral away from other corals that it may sting with its sweeper tentacles. It does best with moderate lighting and flow. 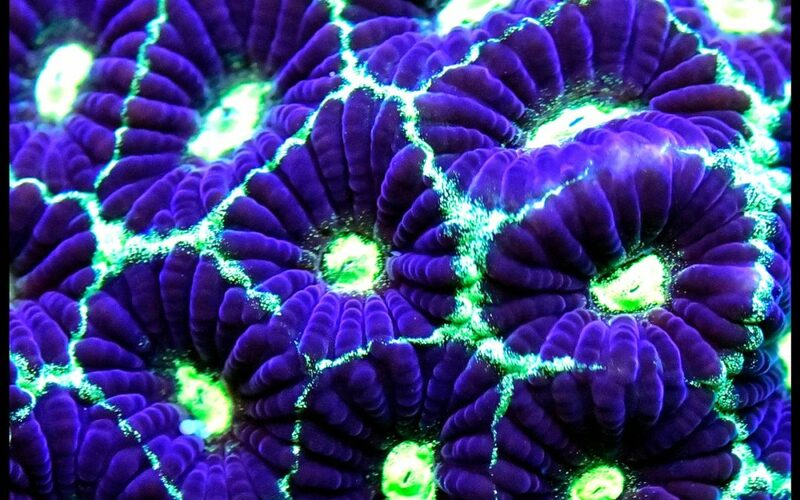 As with other LPS coral, keeping proper levels of calcium, strontium, iodine, magnesium and trace elements is key to its health and increased growth. Feed weekly with Zoo and micro-plankton.